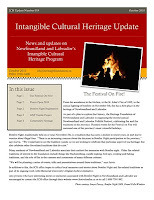 In this very hot edition of the Intangible Cultural Heritage Update, the Heritage Foundation of Newfoundland and Labrador launches its second annual Folklife Festival. This year, the festival is called The Festival On Fire, and celebrates fire and fire-related traditions including the annual November 5th Bonfire Night Celebrations. 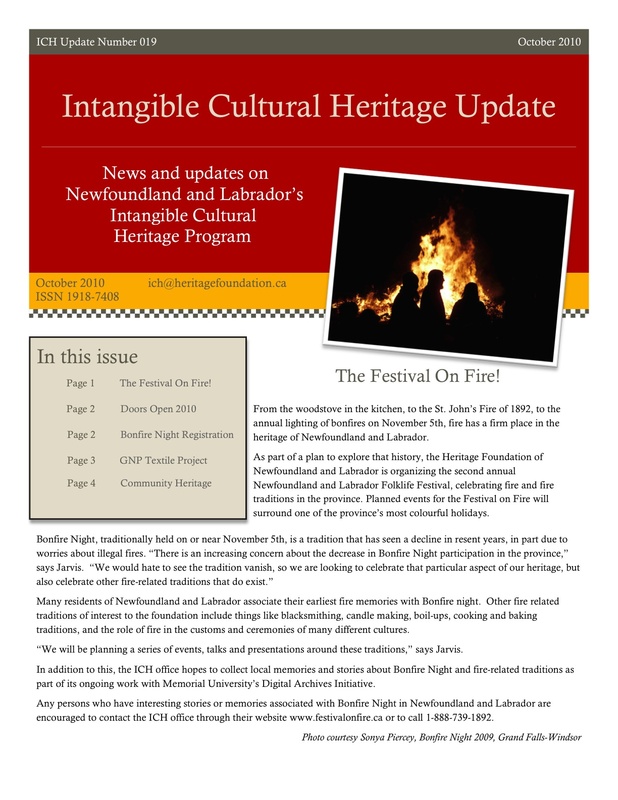 The Update also features a review of the 2010 Doors Open program, notes from a folklore researcher on textile traditions on the Great Northern Peninsula, and community heritage projects from Pouch Cove and North River.